Provenance: Dr J G Gordon-Munn, Croys House, Castle Douglas. 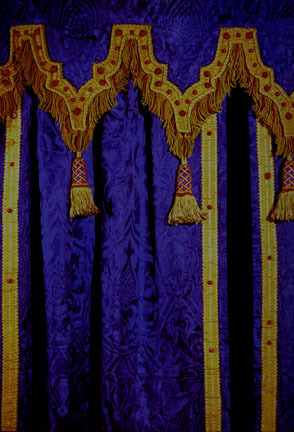 This design was used for the original hangings on the Speaker's Bed at the Palace of Westminster. Arts & Crafts Textiles in Britain. Exhibition Catalogue. The Fine Art Society in Association with Francesca Galloway, nd. No. 3.